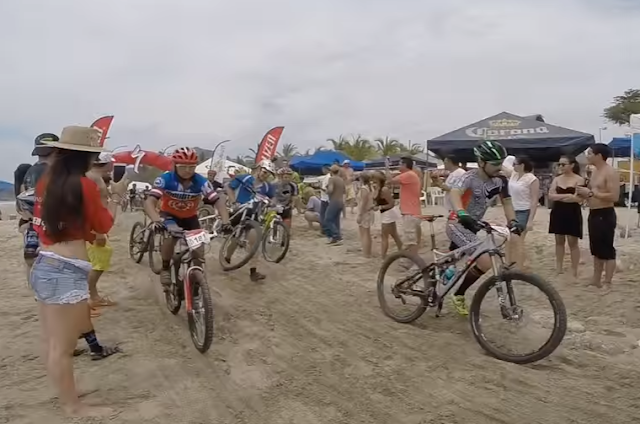 400 participants are preparing for an intense, one-of-a-kind biking competition Mexico that combines beach tracks and mountain trails. The third Riviera Nayarit Mountain Bike Race is ready to start at 3 p.m. next Saturday, May 28, 2016 in Litibú-Higuera Blanca. It’s also the 5th year for the Lijacim A.C. The First Group—considered to be the toughest—includes 13 categories for riders from 18 to 59 years of age both male and female, with an additional 14 categories in the Second Group for riders 15 and up as well as four Youth Categories, which includes kids ages 4-12. There are cash prizes for the winners. The Riviera Nayarit Convention and Visitors Bureau, the State Government, the Banderas Bay Municipality and the National Tourism Trust are among the top sponsors. Enrollment fees range from MX$170 to MX$360 depending on the category. There will be no registrations on the day of the competition; please enroll online through www.velobikepv.com. For more information call 322 209 0716.